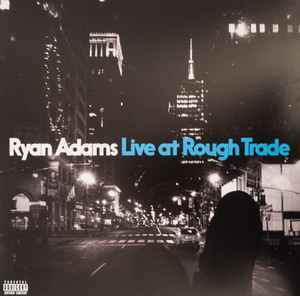 Rough Trade exclusive. Limited to 2000 copies. Plain white poly-lined inner sleeve. In store live set recorded on January, 26th 2017. All songs published by Barland Music administered by BMG Rights Management, LLC (BMI) except "Do You Still Love Me" published by Barland Music administered by BMG Rights Management LLC (BMI) / It All Works Music administered by Wixen Music Publishing (ASCAP) and "Prisoner" published by Barland Music administered by BMG Rights Management LLC (BMI) / Urban Birdsongs Music administered by EMI Sony ATV (ASCAP) and "Streets Of Philadelphia" published by Bruce Springsteen (GMR). Although this record is is full of promise: vintage songwriting, mastered at BG, pressed at Optimal - I found the recording lacked ambience. Or perhaps it accurately captured the ambience of a mundane record store. I recall seeing a tweet from Rough Trade saying that an additional 500 was added to the 2000 run. Is there any difference in the UK and the US versions? A Rough Trade employee replied in an email to a fan asking about his order saying the UK and the US manufactured their own separately, which explains why the US customers had a big delay. But I believe she was mistaken. Anyone who has both want to compare?